The latest Galaxy S8 and S8 Plus device can now be purchased by anyone who really wants to use the smart mobile device. Today, am sharing with you guys, list of active phone selling mobile stores in Nigeria, you can actually pre-order and get this newly manufactured Galaxy S8 and S8 Plus and it would get to you. So in case you don’t know, Galaxy latest smart phones are now readily available for buying in Nigeria. So Nigerians can now go ahead and pre-order or pre-register in order to get a FREE Starter kit which is scheduled to be given to those that buy the smartphone within these days; May 05 – 09, 2017. Are you still wondering what made this latest Samsung galaxy the best for now? If yes, then clear your doubts by checking out its awesome specs here. 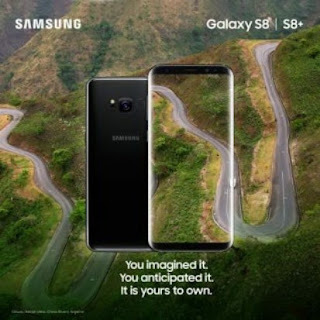 Below are they lists of mobile market stores in which you can get Samsung Galaxy S8 and S8+ Plus in the cities of Nigeria. That’s all for offline and online stores to pre-order the latest released Samsung galaxy S8 and S8 plus in the country Nigeria.